(3) Any interest in property that the trustee recovers under section 329(b), 363(n), 543, 550, 553, or 723 of this title. (4) Any interest in property preserved for the benefit of or ordered transferred to the estate under section 510(c) or 551 of this title. (C) as a beneficiary of a life insurance policy or of a death benefit plan. (6) Proceeds, product, offspring, rents, or profits of or from property of the estate, except such as are earnings from services performed by an individual debtor after the commencement of the case. (7) Any interest in property that the estate acquires after the commencement of the case. (C) in the case of funds placed in all such accounts having the same designated beneficiary not earlier than 720 days nor later than 365 days before such date, only so much of such funds as does not exceed $6,225. Paragraph (4) shall not be construed to exclude from the estate any consideration the debtor retains, receives, or is entitled to receive for transferring an interest in liquid or gaseous hydrocarbons pursuant to a farmout agreement. (B) that is conditioned on the insolvency or financial condition of the debtor, on the commencement of a case under this title, or on the appointment of or taking possession by a trustee in a case under this title or a custodian before such commencement, and that effects or gives an option to effect a forfeiture, modification, or termination of the debtor’s interest in property. 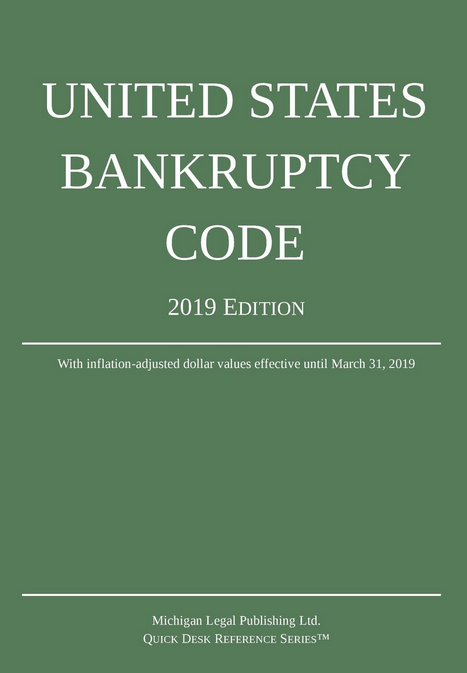 (2) A restriction on the transfer of a beneficial interest of the debtor in a trust that is enforceable under applicable nonbankruptcy law is enforceable in a case under this title. (d) Property in which the debtor holds, as of the commencement of the case, only legal title and not an equitable interest, such as a mortgage secured by real property, or an interest in such a mortgage, sold by the debtor but as to which the debtor retains legal title to service or supervise the servicing of such mortgage or interest, becomes property of the estate under subsection (a)(1) or (2) of this section only to the extent of the debtor’s legal title to such property, but not to the extent of any equitable interest in such property that the debtor does not hold. (e) In determining whether any of the relationships specified in paragraph (5)(A) or (6)(A) of subsection (b) exists, a legally adopted child of an individual (and a child who is a member of an individual’s household, if placed with such individual by an authorized placement agency for legal adoption by such individual), or a foster child of an individual (if such child has as the child’s principal place of abode the home of the debtor and is a member of the debtor’s household) shall be treated as a child of such individual by blood. (f) Notwithstanding any other provision of this title, property that is held by a debtor that is a corporation described in section 501(c)(3) of the Internal Revenue Code of 1986 and exempt from tax under section 501(a) of such Code may be transferred to an entity that is not such a corporation, but only under the same conditions as would apply if the debtor had not filed a case under this title.